On Google+? Follow EzineArticles for Great Insights! Have you noticed any of the above trends to be true in terms of your success using these platforms? I have to date eschewed all social media except Linked in, because they are data miners. Perhaps I’ll have to relent and join the crowd. I think it’s important for businesses to have at least one social media outlet that it uses to Disseminate information. However, if you are an author interested in getting extra writing work and/or building up a reputation then you pretty much need to be on this many social media platforms as we can handle. Not only should be on then you should post them the least once a week if not more. I twitted all my posts. They seems to get indexed fast on Google. Hi venesa I was on my mobile today. sorry about the mixed info. these other social sites are beginning to come through in my email which tells me that people are beginning to use other sites for private use. I think if its personal website it would be face-book twitter , but no they are not because I would use different social sites for different reasons . On twitter I like to just have laugh and a joke on face-book I just generally laugh and chat but on link in I would be serious on google I keep my profile clean as don’t like to say to much to people. so no they are all different from my point of view. I use Facebook and Twitter everyday, along with the top social bookmarking sites. Combined they give me sufficient traffic, but converting these leads into customers is the real trick. I’ve found that leading them to my squeeze page and “warming them up” leads to more sales as opposed to just leading them to my product sales page. I have a presence in all the social networks you mentioned (I’m glad you did not mention Facebook, because for me, facebook is not a marketing platform). I used pintrest but have cold feet with it, because it seems to me that it is not completely focused for marketing (expect in the recent time it opened business account. for brands). I hope the business account will help brands to focus on pinning their products rather than pinning every interesting thing they find on the web. I prefer to engage my audience via my brand name and that is why I do not use face book in any place because it brings out my personal information which has nothing to do with my brand, even though I have a facebook business page. 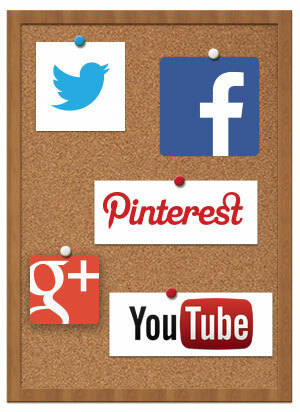 Can anybody tell me the role of Social Media for Educational Marketing ??? how we can grab the attention of our customers? and also tell me that is moodle (Learning Management System) also the part of Social Media? because Finland the world best education system also teach through Moodle and which catch the attention for foreign students. First, I would give an special thanks to author for his intelligent techniques to find the real answers from experience social media practitioners. Since, I am a newbie, I think twitter and face book is the place where we can get the exact audience and of course good content and interactions with followers and fun is more essentials to success. Thanks. As far I am concern. I use Facebook daily for product promotion. I found it more user friendly and easier to reach my target audience. Now with Facebook graph search it is smoother and easy. I use twitter too but I personally found it is difficult to use. On the other hand I would like to draw the attention over Pinterest. I found it awesome and very helpful. I used to get a lot of attention on Pinterest as well as a fare amount of visitor on my website. We agree Mohan! Patience, time, and sincerity are all required in order to be effective with your social media efforts. I use Facebook as a base and make tabs under the banner to connect Pinterest, Etsy, WordPress, my website, Instagram, EzineArticles, Twitter and LinkedIn. This has built activity on all of the pages.